There’s a song I used to listen to growing up with a verse that talked about looking for love in all the wrong places. I’ve been there, seeking love and validation from others. Buying into that “two halves make a whole” view of love. I actually used to think that if someone fell in love with me and loved me deeply enough, I’d learn to love myself completely. That’s not the way things worked out though. As it turns out, others couldn’t cultivate my self-love for me. Although I had this deep sense of longing for love, what I found to be true was the more deeply someone loved me, the less I believed it. I didn’t see what they did and didn’t think they were being genuine. Now I know it was about the way I saw myself. I didn’t believe I was deserving of the deep love I was seeking and even when I found it, I sabotaged it. More times than not, I just closed myself off from love to begin with. I preferred no strings attached relationships. At the time I did so proudly under the guise of being a modern, independent, liberated young woman. But the truth is, I felt worthless and didn’t think I’d ever find true love. I’m grateful that I did, but it started with learning to love myself first. I believe that we’re only capable of giving and receiving love to others to the degree we hold it for ourselves. That wasn’t an easy realization to accept. I resisted it for a while and tried to prove it wrong because there was a lot of accountability associated with that statement. I had to acknowledge and own that in order really be able to receive love in my life, it had to start from within. That was hard to do because I had to recognize a shortcoming, something I had overlooked, something I had neglected for so long. Although ultimately it was disempowering, there was also a false sense of comfort in thinking it wasn’t my “fault”. Seeking love from others as a way to try to “fix” my own self-love deficit came with a price. Since I hadn’t been cultivating my self-love, my self-worth diminished and my standards were lowered exponentially in the process. It’s through this intense journey of self-love I’ve been on over the past several years that I’ve realized just how important it is. It’s so much deeper than having a healthy sense of self-esteem. Every choice we make is impacted by our level of self-love. Whether it’s what we have for breakfast, the friends we surround ourselves with, the partner we settle down with, or the job we apply for. Ultimately everything stems from that place of cultivating our self-love and self-worth. I made some really poor decisions over the years because they gave me a temporary boost. As a result of those decisions, I felt disappointed, dirty, and sometimes even disgusted with myself. It was all in a desperate attempt to fix something using the wrong tool. This is why I’m so dedicated to what I do. I know what it’s like to feel broken, worthless, and unloveable. I know what it’s like to disrespect myself. I know what it’s like to seek love in the wrong places and in the wrong ways. It’s something I pretended didn’t bother me for a long time. Then it was something I carried a lot of shame around silently for even longer. Now it’s something I’ve learned to face, accept, and heal. I’m not afraid to speak about it because it’s something I know many others can relate to and need to know they aren’t alone. Self-love has such a huge impact on how we operate in our lives, I’m extremely dedicated to sharing about it because it can change people’s lives. Today, I want to thank you for reading, and allowing me the space to share this with you. Having learned to cultivate my self-love, I’m empowering and supporting other women to do the same. 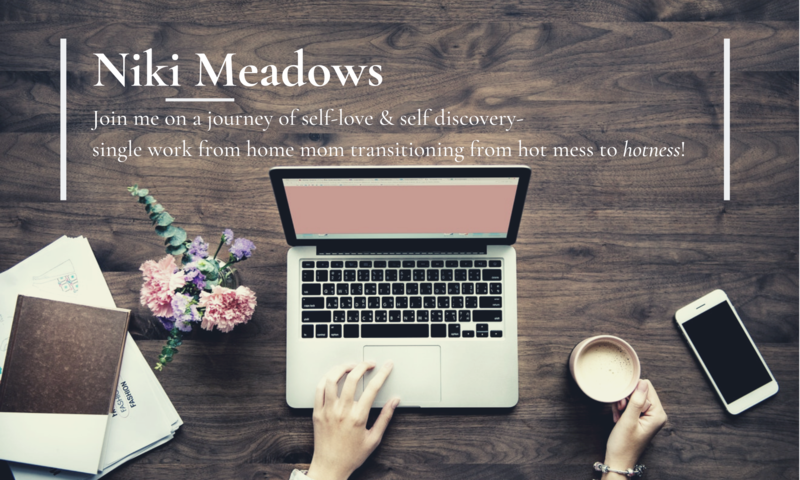 If you’re in a place where you want to cultivate your own self-love but aren’t sure how, I want to encourage you to start with this 7-week guided practice of self-love through kindness. The song is “looking For Love” by Johnny Lee. Good song. I know there was a big gap in the time between my hitting like on this post and my adding these comments. After I read your amazing post, I had my wife read it as well. She has always had self love issues. Her feelings of being “worthless” due to prior bad relationships has infected out relationship as well. My wife connected with your words. She felt as if she was reading her own story. She understood that that she cannot allow bad relationships ruin her current marriage. I started my blog to display my writing and connect with other writer. Not sure why you started yours, but your post today helped me reinforce things that I have been telling her for that past eight years. She needed to hear the words from you. Today, your post and blog made a difference in one household. And I thanks you. I am so grateful that I found your blog. Me well Niki, and thank you. You don’t know how much your comment means to me. I’m so grateful that this post resonated with her on such a deep level. Honestly, this is exactly why I blog. I firmly believe that there’s healing in sharing. I believe that it’s important to share our experiences. When I battled depression, one of the things that made me feel incredibly powerless was feeling misunderstood, worthless, and ultimately isolated. I didn’t think others could relate to how I felt so I distanced myself emotionally. When I started to overcome my battle with depression and get stronger within myself, one of the most important things to me was to share. I didn’t want to share for myself but because I knew that it could help others feel less isolated and disconnected. Just the thought of one person understanding how I felt would have dissipated that sense of isolation. to give her what she needed by sharing this. Knowing that makes this one of the most successful posts on my blog. You made me smile. I hope my comments inspire you to continue these posts. It is important that these messages reach many. My wife says I am a loving man, but it doesn’t minimum healing with her self love issues. I agree, my husband is wonderful but I've only been able to really receive his love as I've cultivated it for myself. May your wife find what she needs to support her in her journey. I'd love to invite her to the Kindness Practice if that's something she's open to. Exactly. what is the Kindness Practice? I used to look for love in all the wrong places, but not anymore. Thanks for sharing your story, Niki. Blessings. it’s true, you can only love others to the degree you love yourself. Fantastic message. Thanks for sharing!